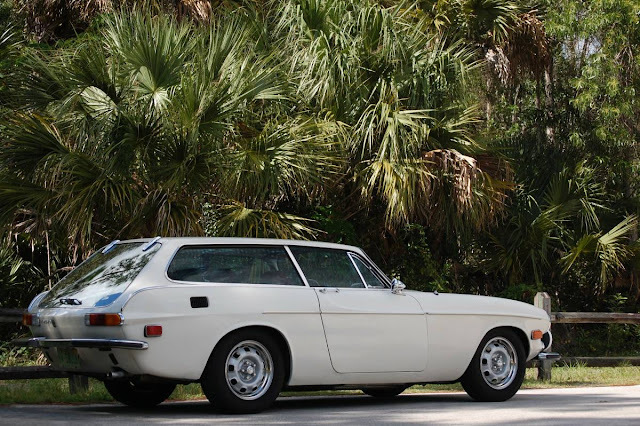 The first time we featured a white Volvo 1800ES, it was way back in 2012 with a feature written by CFlo that was designated as the first Thorsday. 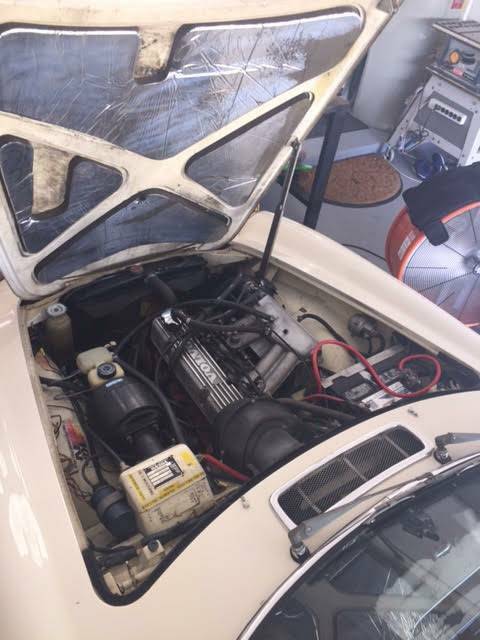 A funny thing happened to the car since it was featured here -- it was purchased by a DT reader, had its interior swapped to red, received new paint (after rust repair), Cibie Oscar fog lights, and a whole pile of other new parts. 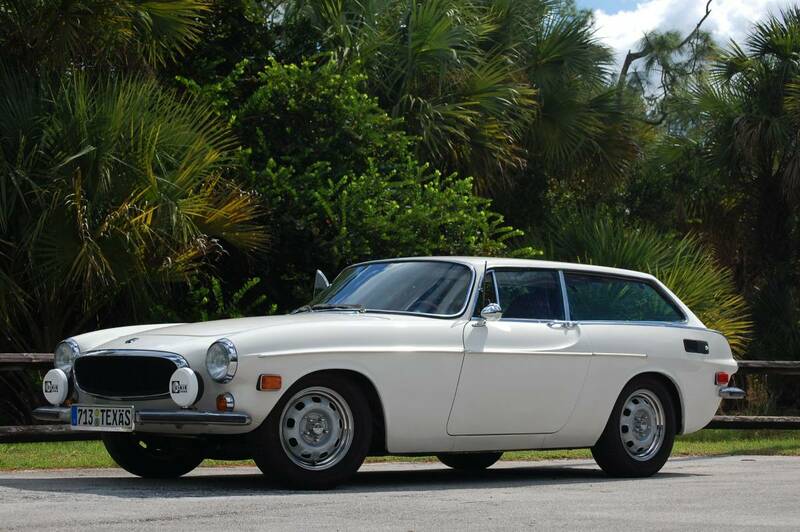 Find this 1973 Volvo 1800ES offered for $16,000 or best offer in Wellington, FL via craigslist. Seller submission from Doctordel. I've done little things to make it more reliable and run better than when I bought it. Rebuilt the distributor and replaced the points, plugs and coil; tore down and rebuilt the steering box; replaced the copper washer and banjo at the speedo cable to slow down (they never stop completely) the oil seepage; applied single stage paint in original California white after completing rust repair in both rear rockers; rust repair in the battery box; cut out all rust from the frame rails and floor and replaced with steel, treated; added set of Cibie Oscars; installed IPD stainless braided brake lines after installing new brake balance valves; new rear axle straps; new battery about 4 months ago; replaced fuel pump and filter; complete interior replacement in burgundy with Dynamat underneath; Coco mats; replaced all zinc exterior trim screws with stainless steel hardware; replaced the rear hatch struts; removed the cracked dash cover and machine brushed the aluminum dash face; installed a Luisi wood steering wheel and vintage-look modern head unit; factory A/C comes with the car but has been removed since it did not really work well in the first place. This is a classic, in excellent condition. The B20F engine starts easily every time and pulls strong to redline. Minimal leakage of oil from the usual spots on a red block, but always kept maintained and with fresh fluids in block and rear end. Lowered on sport springs over smooth and clean steelies. Mileage (97,401) is believed to be true, based on records from the previous owner. -Oil pressure warning light does not go off. The oil pressure gauge reads correctly but the light does not go out. I have checked all grounds and cannot track down the reason. -There is minor surface rust that pops up on tiny areas where the paint has worn thin. See the pics for images of this. These are very minor and there is NO STRUCTURAL RUST WHATSOEVER. -The right rocker could use about a millimeter of mud where the rust was cut out and repaired with steel. I elected to paint the repair as part of the complete repaint, and did not use bondo because I hate it. From more than 18 inches away, this is unnoticeable. See pics for a closeup. -I removed the old plastic dash cover, and ground down the steel and aluminum to a finish that gives it a nice patina, in my opinion. I like the bare metal but the new owner may disagree. Check the pics and decide for yourself. -There is a spot about the size of a nickel where the paint flaked of near the DS door handle, revealing the old, same color paint underneath. See pic. Got your own ride to sell? Check out our submissions page here. Damn, that is a crappy engine pic I posted...I gotta change that posthaste. Thanks for the listing, DT. You even forgave my ALL CAPS lines, bless your heart. I left the 24HoL logo on the back glass and I'm wondering if people unfamiliar with the car think that means it's a lemon... I can't take it off in good conscience, though. I'll never get out of her what I put in but we never do, right? Time for the Nerd to find a new home. 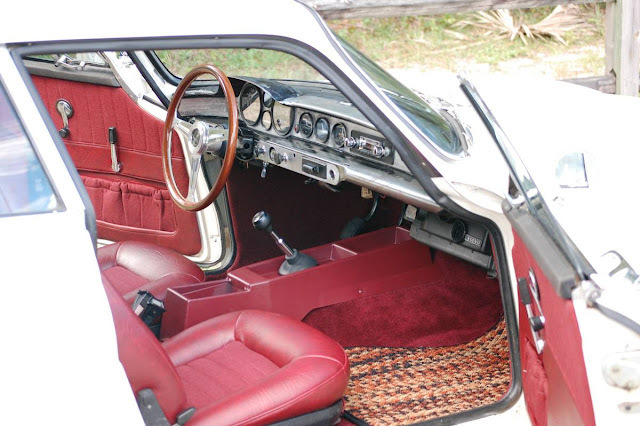 This looks like a really clean classic, good luck with the sale! Leave the Lemons sticker! This car needs to go to the right type of owner, with the correct automotive philosophies. If it were only a bit closer...wrong coast, and all that...I'd be checking it out. The first sale enabled by DT has some sentimental value (*sniff*).